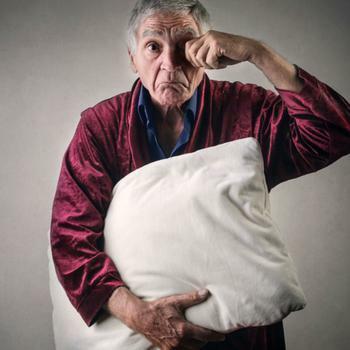 Getting a good night’s sleep becomes increasingly difficult as consumers get older. Being kept up by frequent trips to the bathroom or unexplained periods of wakefulness becomes more common, and as a result, some seniors tend to enjoy less deep, restorative sleep. While this has led some to theorize that seniors need less sleep to get by, researchers from UC Berkeley say that lack of quality sleep increases health risks for these individuals. Their recent report explains how poor sleep affects seniors and calls for increased efforts to improve sleep quality. "Nearly every disease killing us in later life has a causal link to lack of sleep," said senior author Matthew Walker. "We've done a good job of extending life span, but a poor job of extending our health span. We now see sleep, and improving sleep, as a new pathway for helping remedy that." The authors point out that there are many diseases that directly correlate with lack of sleep, and that the health risks only get higher as we age. Chief among them for seniors are problems with memory and cognitive function, seen prominently in conditions like dementia and Alzheimer’s. The problem, the researchers say, is that lack of quality sleep affects the amount of “slow wave sleep” and “sleep spindles,” that consumers experience on a nightly basis. Researcher Joseph Winer states that these waves provide curative sleep and neurochemicals that help us transition stably from sleep to wakefulness. “Sadly, both these types of sleep brain waves diminish markedly as we grow old, and we are now discovering that sleep decline is related to memory decline in later life,” he said. So, how would you solve these sleep-related problems? If your answer is to turn to pharmaceutical sleep aids, then the researchers say you are heading in the wrong direction. "The American College of Physicians has acknowledged that sleeping pills should not be the first-line kneejerk response to sleep problems," Walker said. "Don't be fooled into thinking sedation is real sleep. It's not. . . Sleeping pills sedate the brain, rather than help it sleep naturally. We must find better treatments for restoring healthy sleep in older adults, and that is now one of our dedicated research missions. " Going forward, it is important that consumers change the way they think about sleep. Instead of thinking of it as a numbers game, the researchers say that people should consider the quality of their sleep first. The full study has been published in Neuron.